Jennifer Aniston and Jason Bateman star in The Switch and we landed on the red carpet first ready to bring you what the stars had to say about their new flick. The Switch also stars Juliette Lewis, who found working with Jennifer Aniston, the superstar, quite appeasing. “Jennifer was really easy to work with, a very warm, giving person. We bonded right away, like sisters,” Lewis said. Jennifer Aniston stepped up to the microphone eager to heap praise on her longtime friend and one of the funniest people she knows, Jason Bateman. “It was fantastic. It made it so much easier. I felt like I was going to work with my brother,” Aniston said and laughed. Jason Bateman concurred with Lewis, but also stressed how it was nice to finally do a film with one of his best friends in Aniston. So, how far back does his friendship with Jennifer Aniston go? Bateman also found Aniston’s work ethic similar to his film set method. “It was easy. You know, I don’t like to work too hard. Jen doesn’t like to work too hard. I don’t know a lot of people who like to work very hard. So that made it very easy for me,” Bateman said. 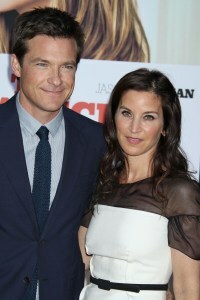 Finally, Bateman also admitted that the film reflects his own marriage. “Well, we were best friends when we got married, and I highly recommend that. Because when girlfriends and boyfriends get old, I guess, you get tired of them, but you never get tired of a good friend,” Bateman said.